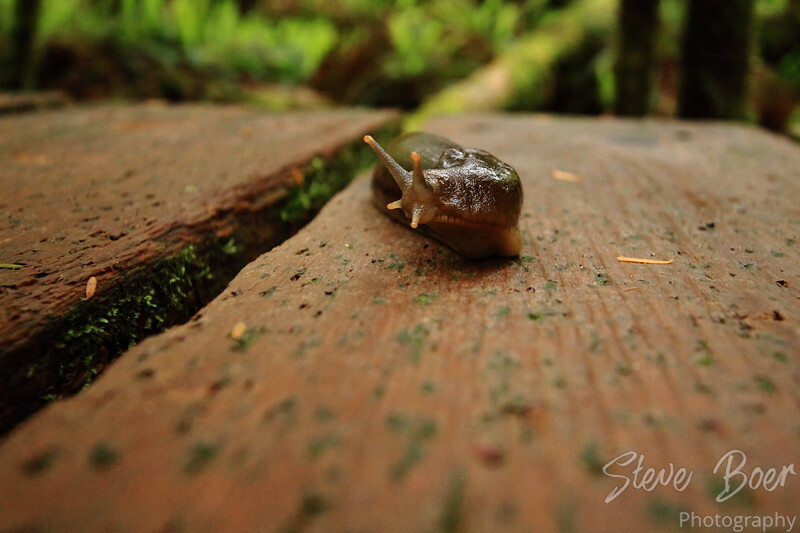 There were lots of these banana slugs along the paths in Pacific Rim National Park. Some of them were even yellow, but they can be several different colours including brown and black. S/he is beautiful. What is the approximate size of him/her? Well, I don’t remember exactly, but I would say a good 3-4 inches at least. They can get pretty big! Steve, I thought you were Canadian… What’s with the “inches”? Haha, yeah I’m old-school sometimes, imperial was my first language!